This week we had our 100th master as NM Manthan Chokshi joined the tournament. Choksi is from India and plans to return there, but is currently staying in New Jersey. 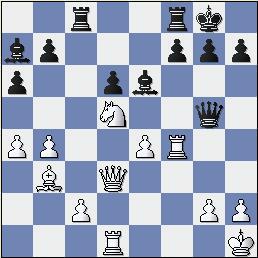 20.Rdf1 Qe5 21.Qf3 Kh8 22.Rh4 Qg5 23.Rh5 Qg4 24.Qxg4 Bxg4 25.Rh4 Be6 26.h3 f6 27.Kh2 b5 28.axb5 axb5 29.Ra1? Bf2! 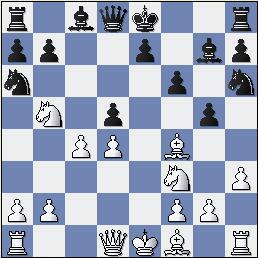 Whites rook on h4 is in serious danger....it has no good squares. With the dual threats of Bxa1 and Be5. Now black is winning. This move strikes me as the start of blacks troubles. Something more active like Re4 seems logical to me. 37. ... Rxc6? 38.dxc6 d5? 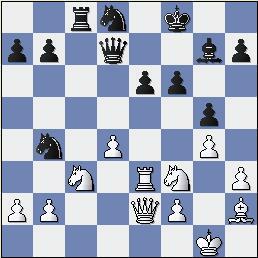 52...Rd7+ 53.Kc6 Rd4 54.Be2 Re4 55.b7 Re6+ 56.Kc7 Re7+ 57.Kc8?? The last blunder.....hopefully both players will talk to me again after giving them so many double question marks. 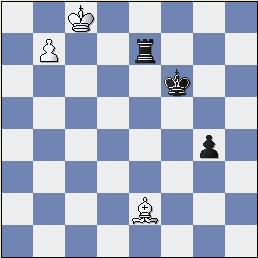 Black was low on time here and I suppose was resigned to a draw. 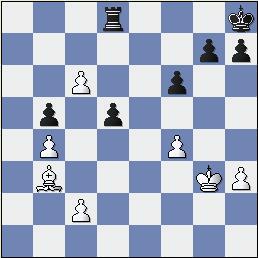 57…Rxe2 won instantly as after 58. b8=Q, black regains the queen with Re8+. Apart from this game there were no upsets in the first round as all the higher rated players went on to win. We have a rematch of last week’s final game. 2 weeks ago Novikov ground Nakamura down with the white pieces to win the tournament. When Nakamura got white the next week we saw Nakamura get a little payback as he took it right to Igor. Igor has just won clear first place in the Western States Open in Reno, would he continue his fine winning ways tonight? 7. ... Ne4 8.Nge2 e5? A powerful blow which immediately gives white a winning position. This is the point. White attacks blacks bishop and knight and will be up at least 2 pawns. Blacks position is already beyond salvation. Trading queens down two pawns is not a happy decision. The rook goes from h1 to a1 and back to h1! 36. ... e4 was probably black’s best chance to mix it up. Black will play Rd2 and Ra2 to pick off whites a pawn and hope that the passed pawn will muster up some counterplay. In all honestly white should be able to win anyhow but passive defense in such positions is usually doomed to fail. Stripunsky has 2/2 and Furdzik is the lone 1.5/2. 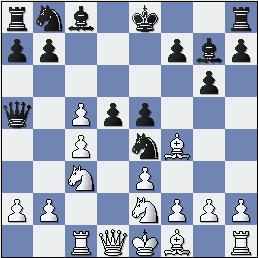 This was Furdzik’s first ever live broadcast game, would he succumb to the pressure or would he shine? 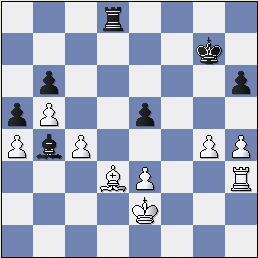 This is what theory recommends and is said to give white some edge. Black's bishop on g7 is doing a good job of defending the f6 pawn. It’s clear that Furdzik didn’t want to allow Stripunsky to create a home on the d5 square. White is banking on black’s exposed king to drum up some play for the pawn. Desperation...Furdzik still has 90 seconds left on his clock to Stripunskys 30 seconds. This should be plenty of time to finish off this position. 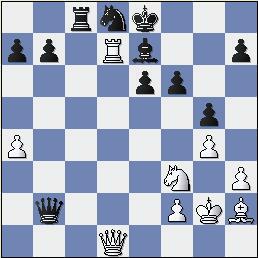 If 35...Nxe7 36.Qd6 and White mates in a few moves. 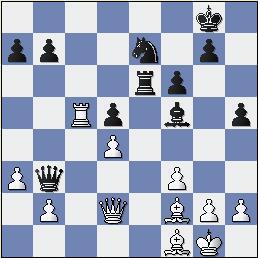 Furdzik had a commendable tournament but the black pieces against Novikov was simply too much to handle. 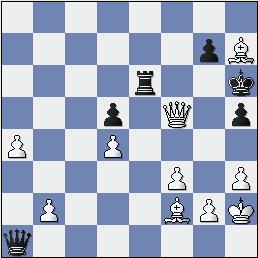 Novikov allowed the Nimzo Indian, something he rarely does, and won a pawn early in the game. Furdzik’s 2.5/4 was good for a split of the U2400 prize, as he tied with Manthan Chokshi, who received a last round half point bye. Yudasin had to beat Stripunsky to tie for first and did just that. He got some nice pressure in a Closed Sicilian and thus Yudasin and Novikov received $240 each in the tie for first place. This game was not going to decide the tournament, however it was the first ever matchup of these exciting players in the NY Masters. In the future we will probably lean towards showing the top boards if at all possible. 19.0-0 Rce8 20.Re1 Qa4 21.Rc5 Qb3 22.Bb5 Rxe1+ 23.Bxe1 Re6 24.Bf2 h5 25.Bf1 Ne7? After gaining this key pawn, Lapshun has an overwhelming advantage.